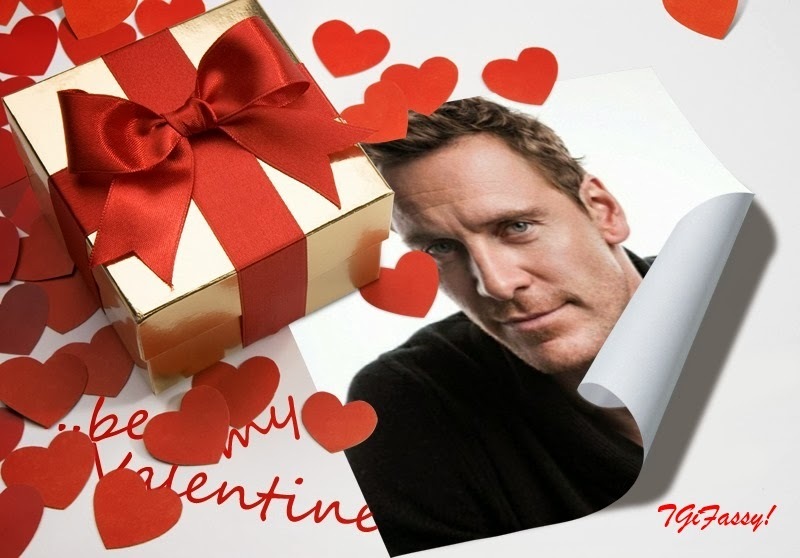 Fassinating Fassbender - A Michael Fassbender Fan Blog: TGiF Valentine's Day - We Love Fassy! TGiF Valentine's Day - We Love Fassy! Many of you have a special someone in your life that you will spend time with today. However, you can innocently cheat on your loved one by taking a personal moment to say to yourself how much you adore Michael Fassbender. And on this TGiFassy Day, keep your hopes high that on Sunday at the BAFTAs, they do the right thing and honor him with the award for Best Supporting Actor! TGiFassy, Happy Valentine's Day, and have a fun We ♥ Fassy Day! Happy Fassy and Valentine day everybody. It's true that our love for Michael is our common point and one of our reason to be happy. That's why we are all agree. Joyeuse Saint Valentin à toutes et à tous.